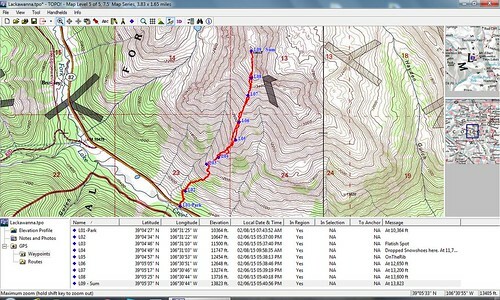 On Saturday, I climbed Fletcher Mountain with Kurt and Beth. We had spent the night up in Frisco, which made the start of the day much more enjoyable. 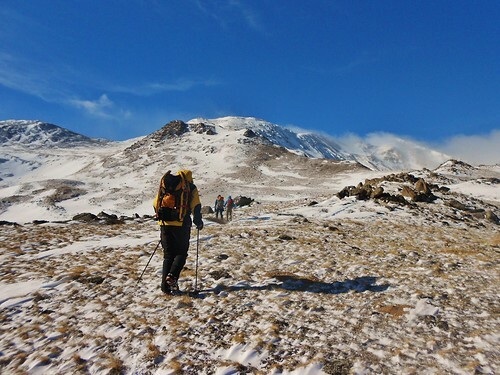 The forecast was looking good, if a bit windy, so I was looking forward to the challenge. 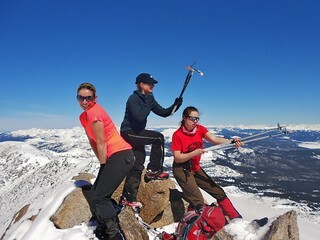 Charlie’s Angels on the Summit of Mt. Massive! 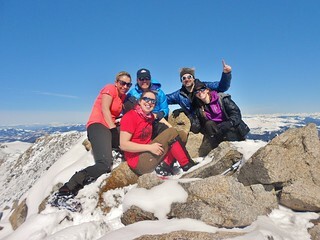 It was so amazing to be on the summit with these accomplished ladies. 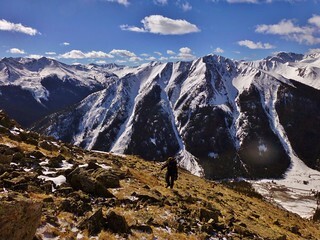 What a fantastic day in the Sawatch Mountain Range! 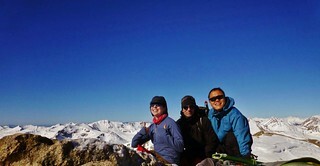 On Saturday, Jane, Sanja, and I climbed to the summit of Mt. 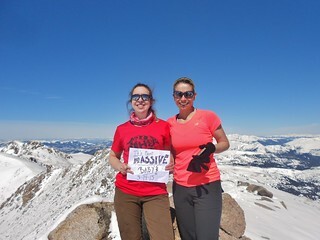 Massive via the East Ridge. It was my 2nd attempt on the mountain, having failed back in January due to high winds. With a stable, relatively calm forecast and a known trench, which was previously established to the East Ridge, the chances for success were excellent. Group Shot (From L-R: Sanja, Clare, Jane, Kevin, and Sarah). 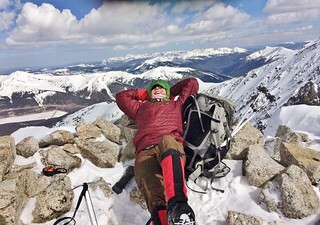 We met Kevin and Sarah on the way up to the summit and they were fun to hang out with once we caught up with them. 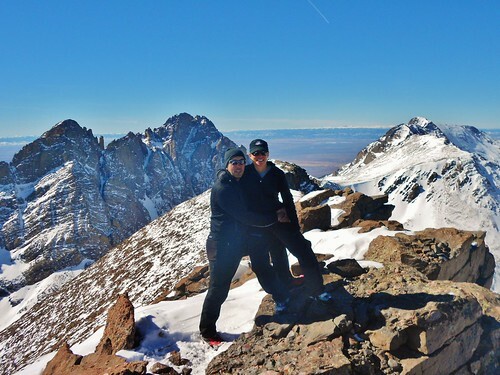 Kevin and Sarah are both excellent mountaineers, in their own right, so there was a great camaraderie on the summit. 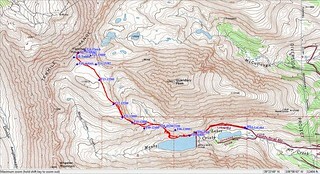 Our Route. Rather than going up a steep grade, on the north side of Pt 11,827, we followed a trench which wound it’s way gently around the south side. The route was much less strenuous, but it was 0.5 miles further distance wise, turning a 13 mile day into a 14 mile day. An additional benefit of going around the south side, was the presence of the sun which lightened our mood and made the hike that much more enjoyable. 09:30 am On the East Ridge Proper! 12:00 pm At 14,000 ft and done with scrambling. 6:00 pm Back at the Fish Hatchery. At the end of the day, Jane and Sanja got back to the car 30 minutes before me. 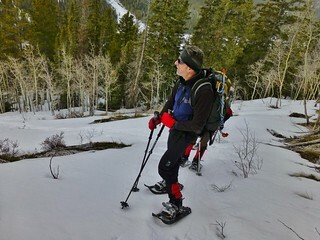 A new pair of mountaineering boots were giving me agonizing pain, so the last 3 miles back were excruciating. Probably not a good idea on my part, to try breaking in a new pair of boots on a 14 mile hike, with 4,760 ft of elevation gain! Even the view is Massive! Jane and I do our impression of Charlie’s Angles. The Third Angel took a hike! 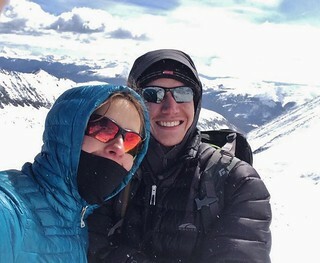 David and Jane on the summit of Humboldt Peak. 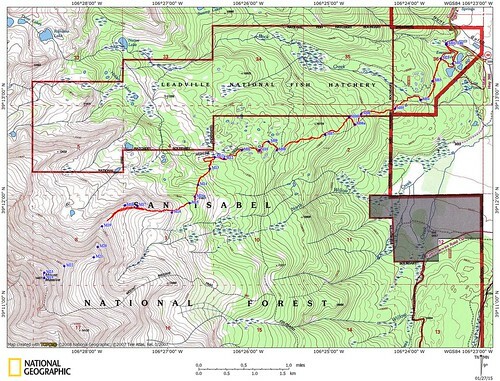 The rest of the state was being pummeled by strong winds, snowstorms, and laden with avalanche hazards. David, Jane, and I were looking for some place to go where we could safely summit a peak and it seemed the Crestones might just be the solution. 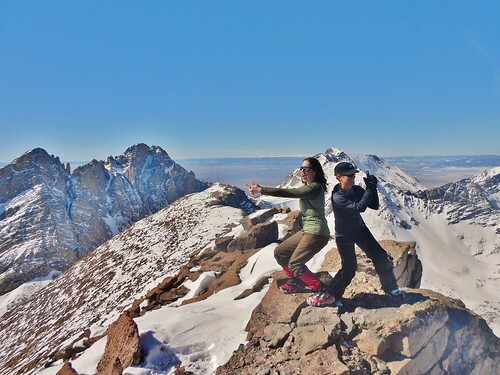 Jane has already climbed all the 14ers, but when there is opportunity to climb one in winter, she’s game! And, since I had not done Humboldt before, it looked like a great idea. I booked a room for the three of us in the tiny town of Crestone; so on Friday we drove down and arrived at bedtime. We made some tea and gathered our gear for the next day. Would the mild forecast hold out? Would we make the summit? 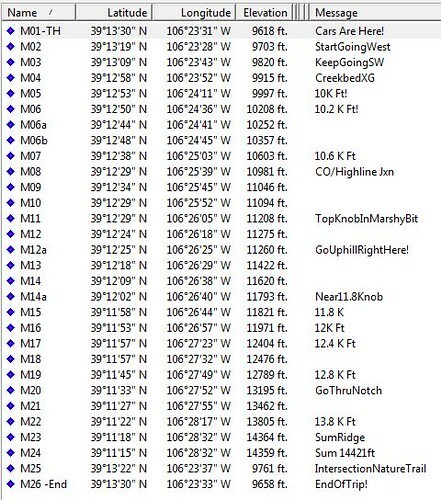 With a half marathon distance and over 5,400 ft of gain, it was bound to be a long day! What would the snow be like; would it be post hole madness or nice consolidated crunching? Tom climbing the lower slopes of Lackawanna. You can see hwy 82 below him. 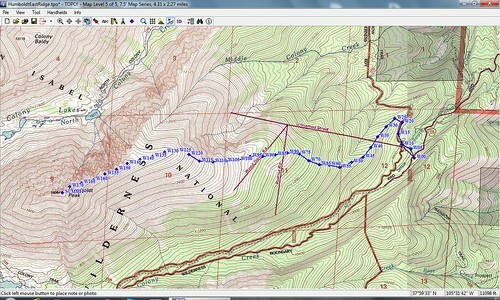 Good times were had by Tom, Frank, and Clare on the Lackawanna legburner route, which was climbed on Sunday. 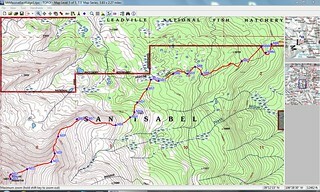 The 4 mile round trip journey featured 3,450 feet of gain! It took us 6 hours to get up the peak (mainly due to the deep snow over the first half of the route) and 4 hours to get down. I was very thankful to Frank, who both supplied the pictures and drove us there!